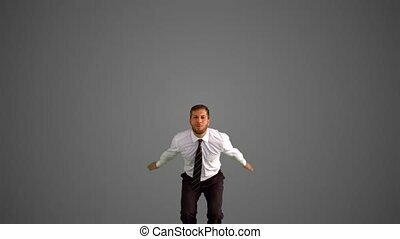 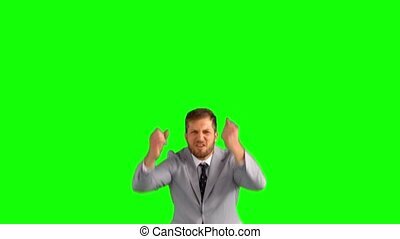 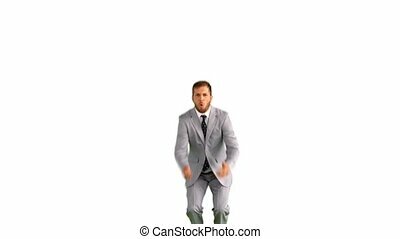 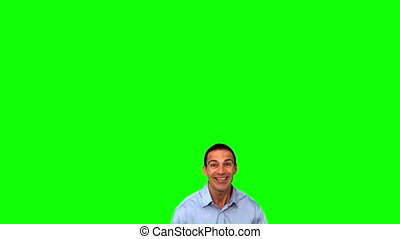 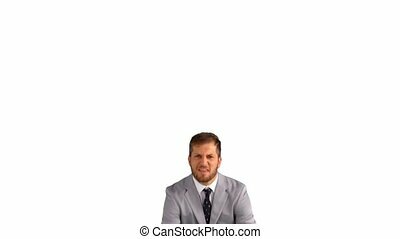 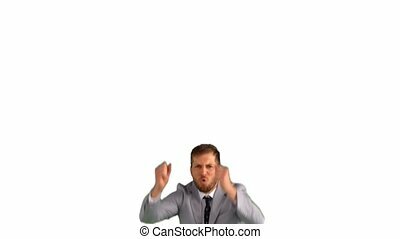 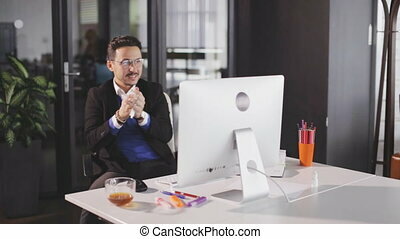 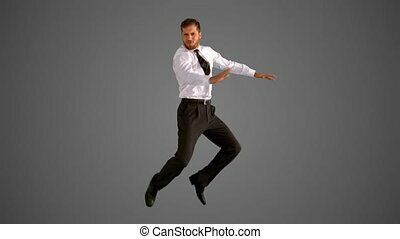 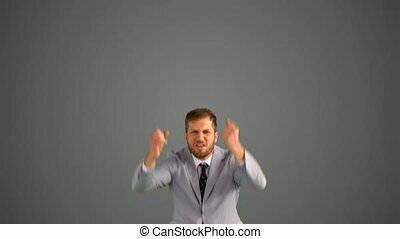 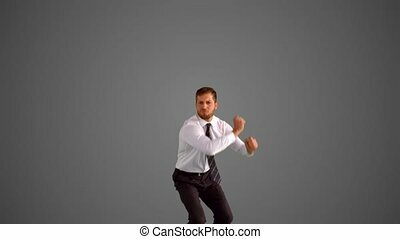 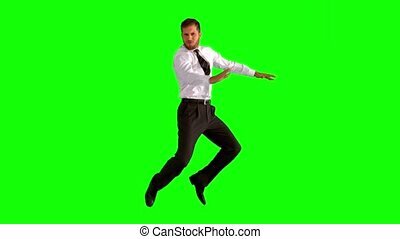 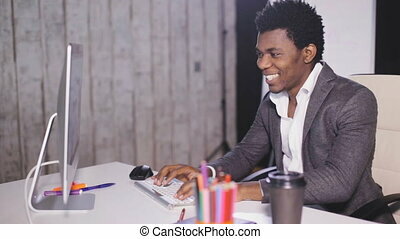 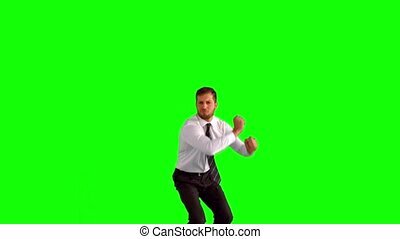 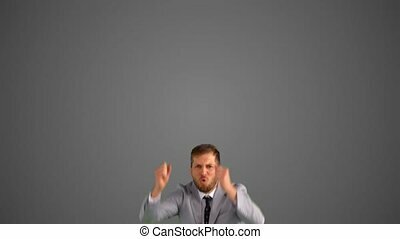 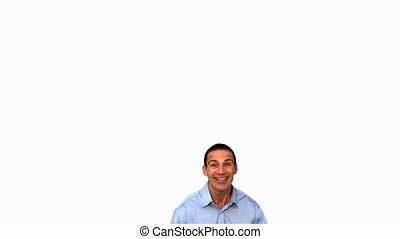 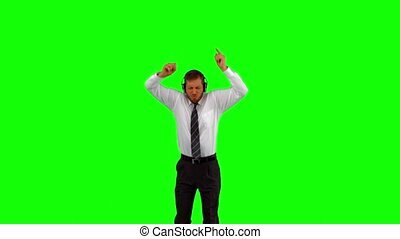 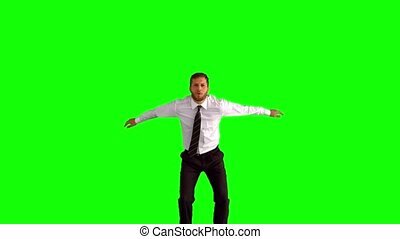 Businessman jumping and cheering on green screen in slow motion. 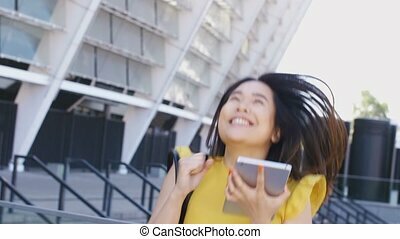 Young businesswoman throwing papers documents into air and celebrates success on modern office building background. 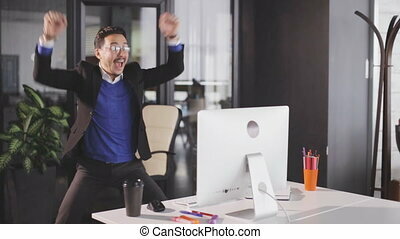 Freedom, successful completion of project concept. 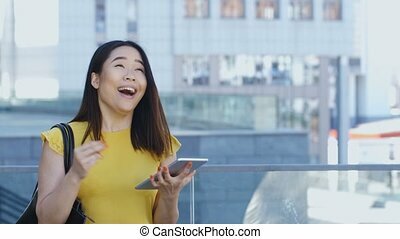 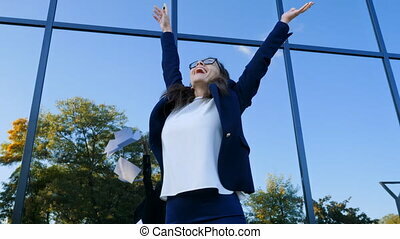 Young businesswoman celebrates success and throwing papers and documents into air on modern office building background. 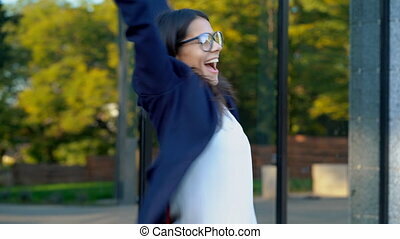 Freedom, successful completion of project concept. 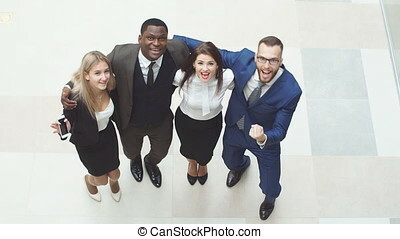 Portrait of group of happy and diverse business people who are standing together. 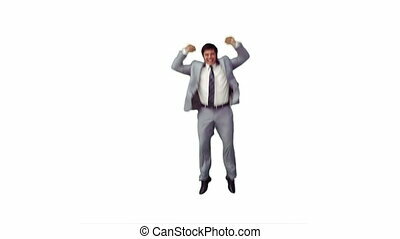 They jump in the air and cheer to celebrate their business success. 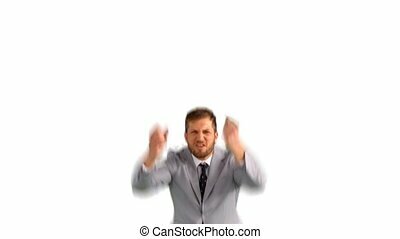 In slow motion.